I get to turn my mind to a few different things. I will look at his track, Recovery, and the E.P. of the same name but I want to investigate this year’s offerings and whether mainstream acts/albums have taken too much attention away from the newcomers; songs that have a sense of humour and a big of swagger to them; how artists develop and ways to keep fresh in the industry; looking ahead to 2019 and the sounds that could take acclaim; a bit about influences and artists who we need to hear more of – I will end by speaking about Cocoa Futures’ future and what we might see going forward. I will start out by talking about albums this year and whether rising artists have been given enough acclaim. It might sound like an odd place to start but I have just read the reviews for the album, A Brief Inquiry into Online Relationships, and what people are saying. Many are comparing it to Radiohead’s 1997 work, OK Computer, and I wonder whether that is an unrealistic comparison. I guess there are similarities in regards the sort of themes that are explored and the fact that, on one song, there is an equivalent to Fitter Happier – instead of a computerised voice; The 1975 use a more modern computerised voice that will be familiar to us all. I have listening to the record and there are some great songs; a terrific spread of sounds and barely a wasted note. It is a terrific achievement, no doubt, but many are calling it a generation-defining album and one that will stand the test of time. I know it would be ignorant to say no album from today could ever match the classics but I am not affected by The 1975’s latest the same way as I am by Radiohead’s masterpiece. Maybe time will change that but I think some critics get carried away and we need to calm a bit. I think a lot of albums this year have got the right amount of praise and one cannot fault the likes of IDLES and Christine and the Queens when it comes to those big marks. I think there have been so many interesting offerings from the underground, in terms of E.P.s and albums, that are not been given the same leverage. It is great bands like The 1975 are being given props but I think many critics ignore the strength of artists emerging and the fact, in many cases, they are producing material that is more daring and engaging. That might sound like a bold claim but I am hearing so many great works and artists that will take years to get big acclaim. Do we often put too much focus on the hyped bands/albums and ignore what is being made by the newcomers – through a sense of ignorance or assumption they cannot scale the same heights?! I do not know but I think there is a case of some artists being overrated and too much spotlight coming their way. This means, a lot of the time, we are not really looking at artists who warrant more praise. There are a tonne of artists who are worthy of a bigger hand but Cocoa Futures is someone I have been following for a while. It would be rash to say that the band are worthy of as much speculation and scrutiny as The 1975 but I feel there is this division between the mainstream and the underground. Do we instantly feel, unless an artist is visible at the forefront, they cannot produce something that sticks in the mind? Even though I am changing things around next year and focusing on bigger artists for my site – not mainstream as such but those a lot closer than artists I am featuring now – I still think more time needs to be dedicated to reviewing and spotlighting those who are a bit further down the rung. I do wonder whether albums as lauded and pressured as A Brief Inquiry into Online Relationships will stand the test of time – I feel we will not be talking about the record in twenty-one years’ time the same way we do as Radiohead’s OK Computer. That might sound like an excuse to put the boot into The 1975 a bit but I do wonder whether we are too obsessed and beholden to the so-called big guns and ignore the next generation of artists who are making genuinely big steps. 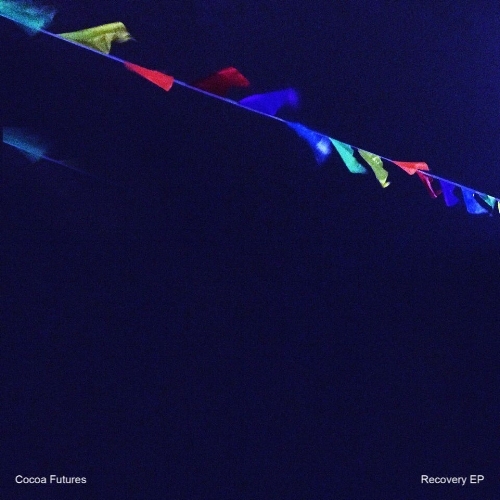 I do not have the time of the finger strength to review every song on Cocoa Futures’ E.P., Recovery, but I did want to feature the eponymous cut. One of the reasons I have selected it is because of the sense of humour and fun. One of my biggest gripes about modern music is the fact the fun has evaporated. I have written about this area recently but I do look around and, when it comes to the best and best-reviewed albums, one thing is common: they seriously lack fun and a sense of uplift! Look at the hottest records this year and, whilst there is a a bit of flair here and there, most are very serious and do not have the same bounce and infectiousness as music past. As I type this, I am listening to Madonna from back in 1985. It is amazing how far music has come in an ironic sense. The mainstream Pop market could never challenge those heady days when we had icons and anthems that stick in the mind. Fun and memorability has been replaced by something quite plastic and samey. Look at most popular music and anxiety has replaced any sort of positive spirit. There are many new artists who are capable of bringing back a sense of smile but their numbers are starting to shrink. It is worrying that the likes of Cocoa Futures is in a minority. I say his music is humorous but there is a serious message that underlines songs like Recovery. It is about drink and the perils of excess but there is a lighter side to it. He can put together an E.P. that deals with both sides of alcoholic excess. That might sound like a pretty weighty subject to explore through music and many might say there is no difference to what we are hearing now – too many artists forgetting how to bring light into music and being far too serious. In the case of Cocoa Futures, you get a nice blend of the concerned and ribald. I listen to a track like Recovery and, although the title has been done a million times – including Eminem – there is something distinct about it. You get something a little muscular and seductive; there is a blend of emotions but, as much as anything, you are involved in the song and come away feeling better. It is always hard when you write about something like alcohol. 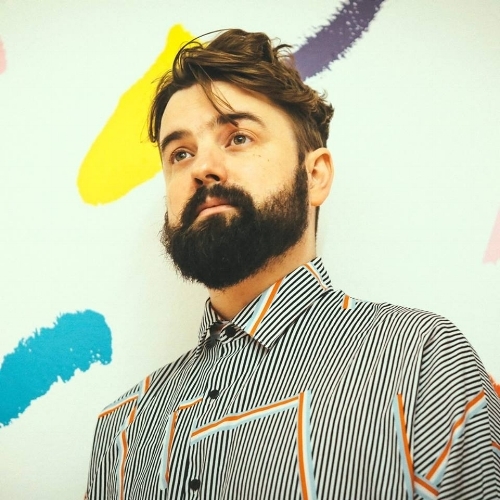 Greg Sanderson (the lead of Cocoa Futures) knows that alcohol is a messy and complicated thing that can produce some wonderful times but it can also lead you down a dark road. He has felt the sting of a hangover and all the regrets that carries but has witnessed genuine freedom, a lack of inhibitions and something pure. I look out at music now and, for the most part, artists are not really being that inventive and letting something funny into the mix. Maybe I am a bit rash when it comes to the fun-killing vibes and accusations but compare the mainstream/underground of today with the music of the 1980s and 1990s and you have to wonder what happened to us. Have we all become paralysed by stress and fear that music has to be this monument to gloom and our own personal concerns?! In order for sounds of today to resonate and remain through the years, there needs to be something that catches you and, yes, makes you feel better. The reason we remember and gravitate towards older music, by and large, is the way it makes us feel and the fact it can make us feel better. I sound like an old man ranting against modern music and how, in my day, it was much better (it’s true but enough of that!). I am glad an act like Cocoa Futures can take a seemingly complex subject like alcohol ‘enjoyment’ and cut away most of the expected gloom. It is a song that will get into the mind and, as I shall investigate later, one that is a lot brighter than most of the stuff out there right now. I have heard previous Cocoa Futures singles like Sink in the Water and Circus and those tracks are great. It would be easy for a repeat or something that walks along the same lines but that is not what you get with Cocoa Futures. In every movement, there is this development and sense of the fresh. I have heard too many acts stay on the same path and they never feel the need to break into new ground. It is nice hearing artists that can keep moving and do not have that stale quality. In terms of songwriting, it can be hard distancing from the personal and relationship-based. I think that is one reason why modern music has that appearance of gloom and doom. You have too many that are speaking about their torment or looking out at the modern world and saying it like it is – which is needed and honest but is awfully depressing! In many ways, an E.P./song like Recovery is the antidote to that malaise. Booze is what we head to when we want to forget the stress; it is what we bond over and it is that social lubricant. It can elevate the darkest days to something manageable and, if we are too full-on and lack wisdom; it can be that regret we wake up to! It is part of modern fabric and something we can all identify with. I have not heard anything like this from Cocoa Futures and it proves there is that need to keep the topic areas fresh and not get bogged down like so many. It makes me wonder what might come next year and the sort of things that will be covered. I urge people to investigate the E.P., Recovery, because there is a lot of wonder to behold. Previous singles like Sink in the Water and Circus are in there and they nestle with lesser-heard offerings. I will move onto a new area but, before I do, I wonder why more artists do not follow the lead of Cocoa Futures. There are a few areas for improvement in the camp. One of my biggest groans and sources of annoyance comes with photos. There are some fine snaps in this review but I have had to mix older shots with the new ones. So many artists limit themselves to specific photos and do a few for each new campaign. That is okay if you want to write a few lines about a song/E.P. but, if you want to go deeper, your options are limited. There is a lot of potential, photographically, for Cocoa Futures and it would be good to see some more shots for 2019 – a couple of new shoots that are done not for a campaign or release but are a nice visual accompaniment to the music. That might be my problem but, as there is such a great force from the audio side of things, matching that with more photos would attract new listeners and journalists. I have wandered from my point regarding development and evolution and I think it is great there is freshness about Cocoa Futures. I am pumped to see what arrives next year and I think more musicians should think about broadening their scope and not writing about the same things. The listener might be able to relate to what is being said but, once you have heard it a few times, do you want to keep hearing it?! I feel there is that stubbornness to try something new and widen the horizon. It is important to have a look into next year and think about the sort of sounds the mainstream might demand. I will come back to sounds and developments when I review Recovery but I am interested looking into next year and what we might all witness. This is the time of year that many journalists, myself included, predict who will make a big break in 2019 and what sort of sounds will define the year. I think it is going to be a little while longer before Cocoa Futures courts the same sort of press as the biggest acts of today but I think they have taken big steps. Look at what is being put out and the sounds hit you instantly. I think this year has been defined by more openness in the mainstream and variation. Grime and other genres have played a bigger role and the Pop ‘elite’ are broader and more mature than years past. I still think there has been too much personal revelations and not enough fun. Maybe that is a sign of our times and we have come too far – will we ever see a return to those glory days?! What I have noticed is the relevance of lyrics and a general move away from cliché themes. Maybe this does not apply to most Pop but look at this year’s biggest records and they have talked about areas like online relationships, sexual inequality and gender; toxic masculinity and the state of the nation. That might sound a bit heavy and serious but most have managed to sprinkle something accessible and light among those tough subjects. I think we will continue to look for artists that can assess what is happening and the things we are concerned with but bring different genres into the pot. I think we will see Grime make a bigger stride towards the centre but I feel Dance and sounds inspired by the 1990s will come back in a bolder way. This is not to say we will see a return to that decade – the modern crop is not nearly strong enough – but there will be a slight break from the gloom and a bit more colour coming through. This is my prediction and I hope I am not proven wrong! I have spoken about Cocoa Futures and how the song I am going to review imbues some fun. At its heart, mind, Recovery weighs up the consequences of drinking and asks how we can look forward and rebuild if we are always recovering. Maybe that is a metaphor for politics and the state of the country but there is a personal aspect – a need for more calm and control. There is lightness in the song but, again, it follows alongside the biggest artists who are taking a serious approach. I do respect that stance but I hope, sincerely, people are able to lighten up and bring genuine joy back into music! You want to talk about joy in music – it is almost extinct these days! – and you look back at those great icons. David Bowie is in my mind because his legendary Glastonbury performance from 2000 will be shown very soon. Until now, we have only seen a fraction of what went down but now, very soon, the full thing will come out. It is amazing to think he has been gone almost three years and there is that definite vacuum. I mention Bowie because I know Cocoa Futures source guidance from the legends like David Bowie and Roxy Music. You get – with Cocoa Futures – a swagger and that 1970s sound; a blend of the strict and fun and something that takes its sonic cues from that golden time. What one experiences – with Sanderson as the lead and guide – is a trance and beguiling mixture. You are captured in this world like a butterfly in a jar. The material – recorded in Manchester’s Low Four Studios – tends to take my mind back to the Low-era David Bowie and what he was throwing out. Cocoa Futures will be the first to say their Speed of Life and Sound and Vision (from Low) are years away but you can detect a flavour of the album! This might seem like a bold claim but Cocoa Futures’ sound brings in bits of David Bowie and Roxy; there is a sprinkle of St. Vincent and modern innovators. The reason why the E.P., Recovery, strikes a chord is because you get whimsy and something light alongside a more serious side. The lyrics are broad and the music has such depth and detail. So many artists get stuck in one gear and they do not often expend too much effort when it comes to the sonics. Pure and rounded musicians can tackle every angle and make sure their music is as thorough, impressive and impactful as it can be. Perhaps it would be rash to insinuate and suggest Cocoa Futures have Bowie in the blood but you know what I mean when it comes to endeavour. They are mixing in funky sides and catchy kicks with some electronics and darker tones. It is an appealing and arresting brew that will get under the skin and stays in the mind. I think that issue of memorability is a big problem. It might be to do with the sheer volume of music or the way we digest it but how many artists and moments from today will we recall and mention alongside the classic albums? I think many of us, in decades to come, will still talk about classics albums and very few modern offerings will be mentioned. That might sound cruel but there are aspects from older music that are not being taken to heart. We do not necessarily laud the big albums from decades ago because they hold fond memories: to many, there is that thrill, depth and positivity you do not get from modern music. Even if the music is more emotive and unhappy; something about it hits us and stays in the soul. 2019 will be a big year and I feel artists will start to change things up. Whether we get those generations-lasting records I am not sure but I think there will be some fine moments. Cocoa Futures will be among the best of the rising pack and I think many can learn a lesson from the London-based outfit. I love the way the music and lyrics have such variation and there is that desire to come back and get that satisfying hit. Let me move on and look at Recovery’s title-track as I have been keen to get to grips and learn a bit more about it. It is my favourite offering from the E.P. and a song that, as you’d expect, seems to define what Cocoa Futures are trying to say. One might think something rambunctious and stirring would open Recovery – given that it is about excess and the consequences of it. I was buckling myself for something a bit spiky and intense but, instead, you get electronic noodling and something a bit cosmic. I have already mentioned Low-era David Bowie and that is not far off of the mark. It is a spacey and head-spinning introduction that opens the mind and you wonder where the song is heading. Although the composition bubbles and has a colourful flow; the lyrics have an air of the oblique. I know alcohol and addiction are part of the song and the hero is looking at its two sides. We hear about tears in the sea and a distance between his door and hers. Maybe there is a relationship that is being squandered because of drinking or it might be the case life in general is a bit blurred and murky. The delivery from Sanderson has a lightness and flexibility that reminds me of David Byrne (Talking Heads) and David Bowie. There is a bit of Bryan Ferry (Roxy Music) and other artists and I like the way he makes his voice skip and strut without compromising the seriousness of what is being sung. The backdrop burbles and pops as the hero talks about being further away from the good times. One feels the need for recovery and things have taken a rather bleak turn. You know there have been mistakes made but you never feel like the song is too dour and black. Every second seems to skip and dance and you have that great blend of the uplifted and grounded. The chorus has a nice rush to it that reminds me of Pop of the old – not as intoxicating and strong – and you get something instantly memorable. I detected elements of Field Music, too – sorry to keep comparing! – and there is a nice mixture of elements. The next stage of the song looks at Friday drinking and the need to blow off steam. We have talked about relationships and darker sides of drinking and now a more common and lighter side emerges. The hero is drinking with those close to him – whether that means friends or people physically closer to him – and there is a cycle of discovery and recovery. That is almost like a mantra. As soon as we drink and find out new things (or let ourselves go) then we are thinking about recovery and rebuilding. I am not sure whether the song is inspired by real-life excess and making mistakes but many will be able to relate that what is being said. Rather than make the song too pained and po-faced; there is that endless sense of energy and momentum from the vocals and composition. I think the chorus is the most memorable aspect of the song and it definitely burrows in the head. It is short and sharp and has a distinct punch. By the time you get to the end of Recovery, one wonders whether there is a lot of personal background in there. I know many will be able to engage with something that affects many and think more deeply about the way they use alcohol and what it is doing to them. I have mentioned artists like David Bowie and possible inspirations but one experiences something modern and original with the song. It has a great mix of the classic and now and that will allow it to stay in the heart for longer than most songs. It is a fresh and bright offering that perfectly defines and explains the Recovery E.P. The production is polished and slick but does not drain the emotion and physicality from the song. Every aspect has been considered and, as such, one gets a heady and nuanced song. I hope there will be more material from Cocoa Futures in 2019 because there is a definite hot streak emerging in the ranks.